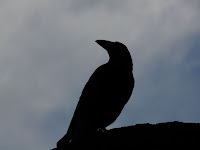 In Aboriginal legend, the kookaburra's famous chorus of laughter every morning is a signal for the sky people to light the great fire that illuminates and warms the earth by day. 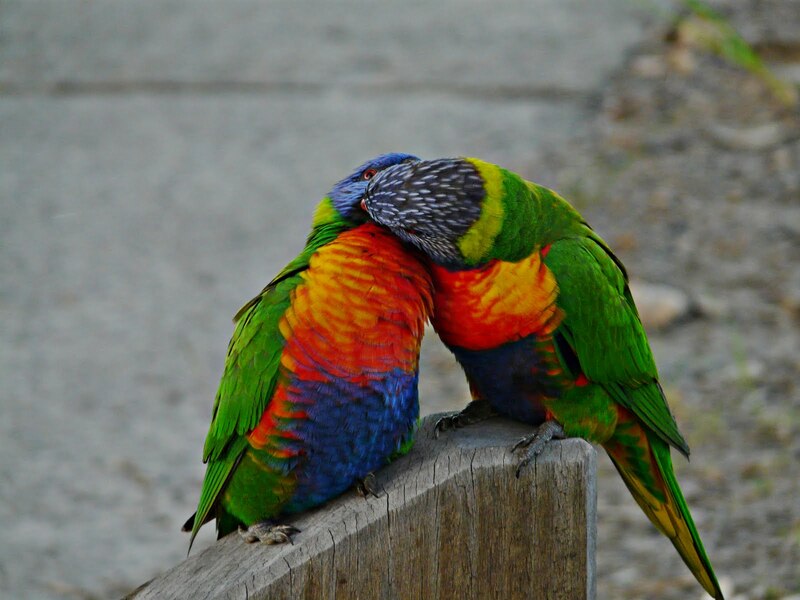 The true function of the laugh is to advertise the territory of this bold bird. The Laughing Kookaburra is the largest of the kingfisher family. A family group will laugh together throwing back their heads and flicking their tails up and down. Kookaburras eat insects, small rodents, yabbies, snails, worms, lizards, frogs and snakes. The kookaburra bashes lizards and snakes against rock or a tree to break up all of its bones, so it can digest its prey. A kookaburra starts breeding when it is one year old. A kookaburra will build its nest in a tree or sometimes a termite mound. A kookaburra will stay with the same mate all their lives. A kookaburra's older offspring will be like a bodyguard for the new born chicks. 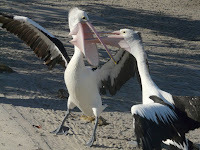 Australian pelican (Pelecanus conspicillatus) found along the Australian coastline, is the largest pelican in the world. 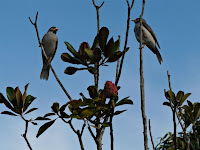 , black and white birds with massive pouched bills. The bird’s pouch is used mainly as a net for catching small fish and shrimps. 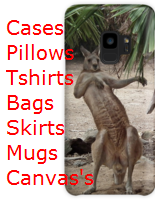 The pouch is also used for catching rain. Birds sitting on nests during heavy rain showers have been seen with bill open and pouch distended. The total pouch capacity is seven litres! 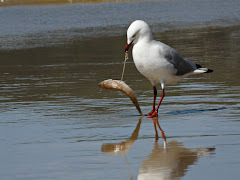 When feeding groups of these birds often work together, herding schools of fish into shallow areas, where they are easily scooped up. When flying they search for updrafts one may be enough on short journeys; over longer distances several are needed. In this way the birds avoid expending considerable energy.They are amazing to watch in flight having you thinking of pterodactyls from the dinosaur era. Cormorants are saltwater birds that spend most of their time in freshwater and are therefore not only found on Australian coasts but cover much of the inland. Cormorants often gather in large flocks near water and close too pelicans as can be seen in photo. When searching for food they seem to stay underwater for an amazing amount of time.They will dive under and appear hundred of metres further up the river. is a white cockatoo with very small crest. Has pink throat feathers. 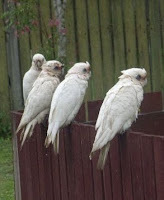 Little Corellas often form large flocks, especially along watercourses and where seeding grasses are found. These four were resting on our fence while others were on powerlines. There must have been at least 100 or more in this flock. The parents are very protective of their chicks, and swoop anyone who come too close.This we found out at Brooms Head where this photo was taken as the parent swooped my daughter and I numerous times. 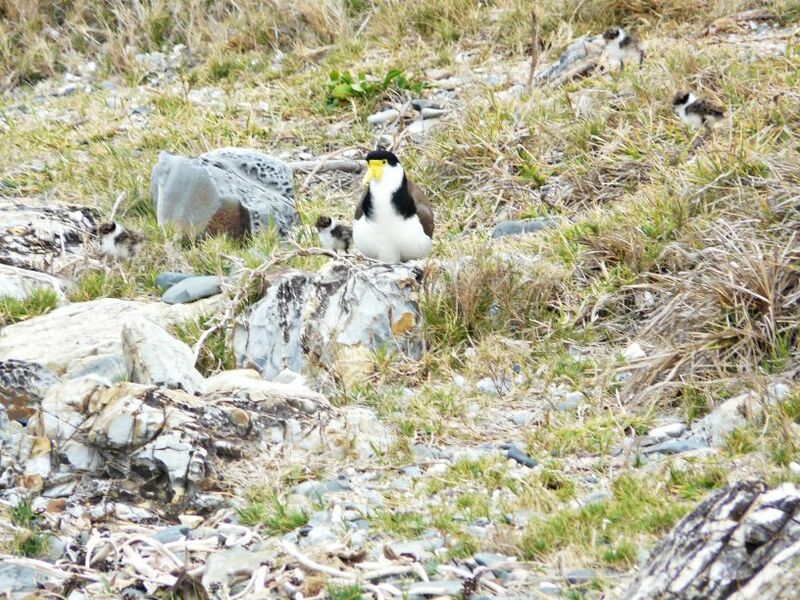 .The Spur-winged plover (Vanellus miles) is so named because it has a sharp, yellow, black-tipped spur on each wing. 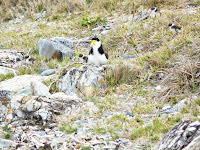 It is also known as the Masked lapwing and Masked plover. The common Indian myna bird is fast becoming Australia's number one feral enemy! In autumn, mynas start to aggregate in large flocks - providing the perfect opportunity to trial a new trap that could finally provide a way to remove these clever and aggressive pests. I have seen these birds attacking Hawks and Falcons they have no fear. 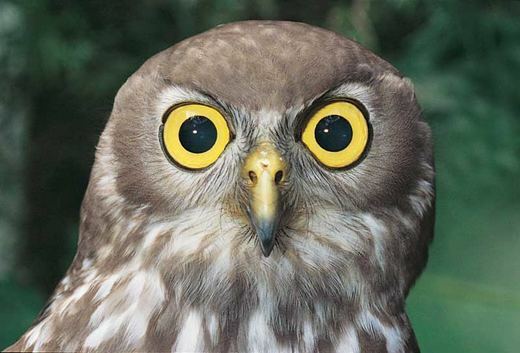 The Barking Owl is a medium-sized hawk-owl. Hawk-owls lack the definite heart-shaped face of the tyto-owls which include the Barn Owl. They were showing one of these off at the Enviromental Day and the bark is exactly like adog.Another amusing thing that day was when someone tried to get a photo of it facing towards you it, would spin its head around, exorcist fashion, everyone was laughing. One funny bird.